Thanks for stopping by! I’ve had many questions lately about “how do you meal prep” or “I don’t know where to start.” Sound like you? 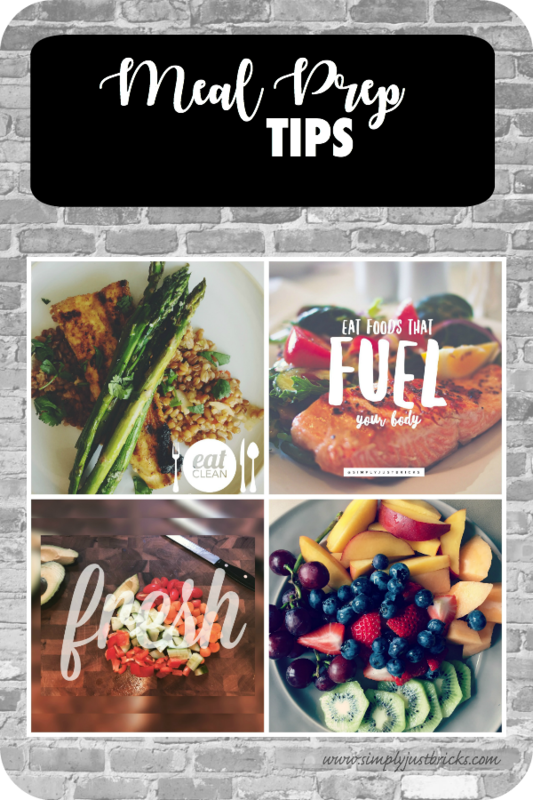 Then read on and check out my tips! First of all, there is no RIGHT way or WRONG way to meal prep. This is just the way I find works for my family! If you want to have a sustainable long term result, just like in fitness, it just has to work for you and your lifestyle! Try one way, if that doesn’t work, try again! Trial and error is a big part of it, so don’t get discouraged! What works for my family might not work for your family. We have 3 people in our family, so it's a bit easier for me to plan and prep. Now, do I do this all of the time, HECK no! But, when I know we are going to be on the go or I personally want to keep my nutrition in check, that’s when I do it. Like any other task on the to do list (which I know there are many!) it doesn’t need to be too daunting. Start slow and simple and work your way into more kinds of meal prepping ways. For me, looking into a fridge and searching for something healthy is stressful if it's not prepped. And some of the stress eating or emotional eating we hear of comes from that, and that’s not what we want! Meal prepping helps you to NOT reach for those unhealthy snacks! Before anything, you should always have a plan. Start slow and simple. Make a list of things you eat throughout the week on a regular basis. Strawberries, blueberries, lettuce, apples and assorted veggies are a few that ALWAYS make our list. Choose your recipes. Choose simple recipes that you know your whole family will love. For example, Oatmeal, Waffles/Pancakes, Tacos, Fajitas, Soups… If there is a recipe that you know your family loves, but really isn’t the healthiest one, try some substitutes! Gradually work healthier ingredients into the recipe. Swapping out the tortilla shell with a lettuce leaf, making your own taco seasoning without all the junk are just a few ideas to try. Write your menu on a dry erase calendar, use pen and paper, or if you love DIY things try a picture frame with a sheet of paper in it and make the days of the week into sections with a dry erase marker, then write your menu! Make your grocery list and go shopping! This is where that list of ingredients and menu comes in handy! You don’t want to go to the grocery store not knowing what to buy because that is when things you don’t need start ending up in your cart! TIP: The outer perimeter of most grocery stores is usually the freshest and healthiest foods! Inner portion is usually where we find our processed goods. Also, save your meal plans for reference in future weeks. 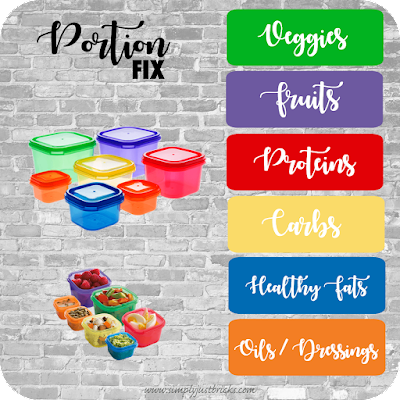 I adopted the 21 Day Fix Portion Fix container system into my meal planning a while back. For me personally, this is what a typical week looks like. Each container is color coded to a certain food category and the calendar is labeled according to color. I also include the boxes to check off for my container counts as well as water. Here’s where it gets a little easier, just time consuming. 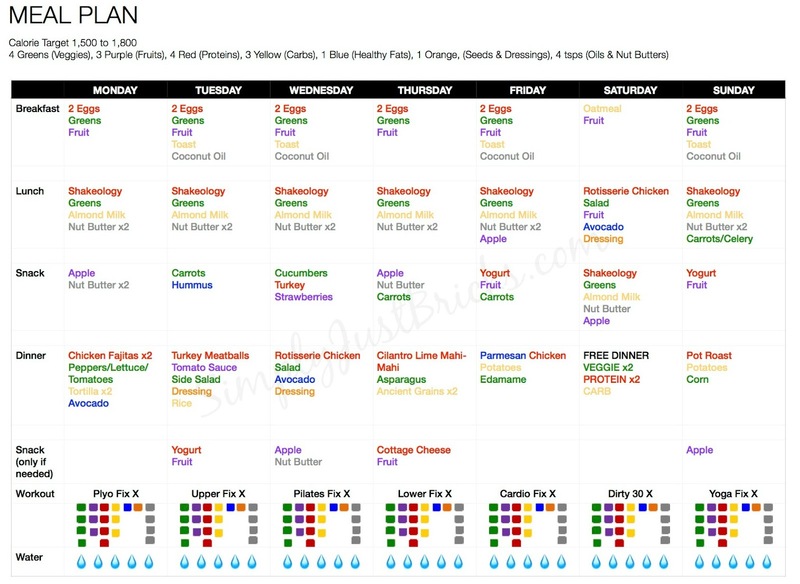 You do not have to cook all of your meals for the week from start to finish. Meal prep can be as simple as washing and cutting up fruits and veggies ahead of time. You can also portion these out into little containers or baggies for healthy grab and go snacks. This saves time and keeps you from overeating on those particular snacks. Another way to prep for meals is pre-cooking meat in bulk. In my opinion, some meats are better cooked at the time of meal, like fish. Others you can prepare in advance and sometimes even freeze for future meals. I sometimes like to bake chicken breasts, or cook them in the crockpot to shred. 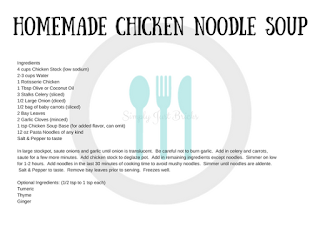 Shredded chicken is so versatile. You can add seasonings right away, or you can add seasonings according to the meal on your menu and heat it. 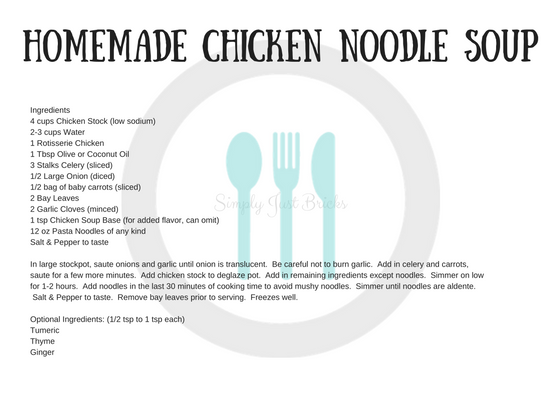 I use shredded chicken on Salads, Tacos, Fajitas, and Soups. TIP: I always buy a Rotisserie Chicken and have on hand to use in multiple recipes. Sometimes the work is already done for you. Just be sure to check ingredients/nutritional facts. Some people like to prepare overnight oats or just a big batch of oatmeal and portion it out. I sometimes do this and I can eat off it all week. Lately, I’ve been eating eggs after my workout each morning. So, I usually have broccoli, peppers, spinach/kale, tomatoes, etc. already chopped or cleaned ready for me to use in an egg scramble. Then all I have to do is add it to the pan, crack two eggs, and season. I usually have fruit with my eggs, so I always make sure its ready to go as well. Heres where I have had trouble before. I would have things prepared and eat them, only to go over my containers for the day once dinner came around. So, I’ve swapped it out for my Shakeology, a superfood and phytonutrient dense shake for lunch paired with fruit or veggie. So switch things up once in a while to see what helps you stay on track! Pre-portioned snack bags or containers come in handy here! No thinking, just grab and go! Fruits, Veggies, Nuts/Seeds, etc. Usually dinner is freshly made, but sometimes convenience is nice. This is where prepared chicken I’ve cooked or rotisserie chicken makes things easier. That’s it! For me, I like to keep things simple. So, take a Sunday afternoon or a day that works for you and try to do some things to help you have a successful week. Then the next week, reflect back on what you liked and didn’t like or if things went to waste and re-write your plan. It just takes a little effort! Hi everyone! Yes, you read that right. This is my 14th stitch fix box. I still really enjoy seeing that box arrive every month, but not every month is a complete winner. I haven't posted anything lately due to not making a purchase from the box. This past month however I did keep a couple items. Let's go through the box!! These two items were keepers. 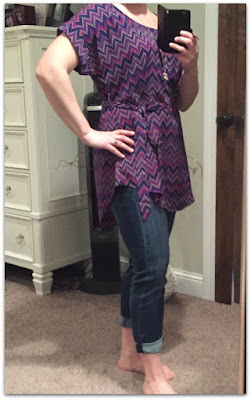 I actually wore the tunic with white skinny jeans rolled up with wedges. I also tied it in back so it wouldn't hug my front middle. Well, there is the box. Like I said, it wasn't the most exciting since I only kept two things. The weather has gotten to be so nice, maybe I'll get to wear those two items soon!!! Hello Simply Just Bricks readers Fabletics VIPs and Stitch Fix lovers! 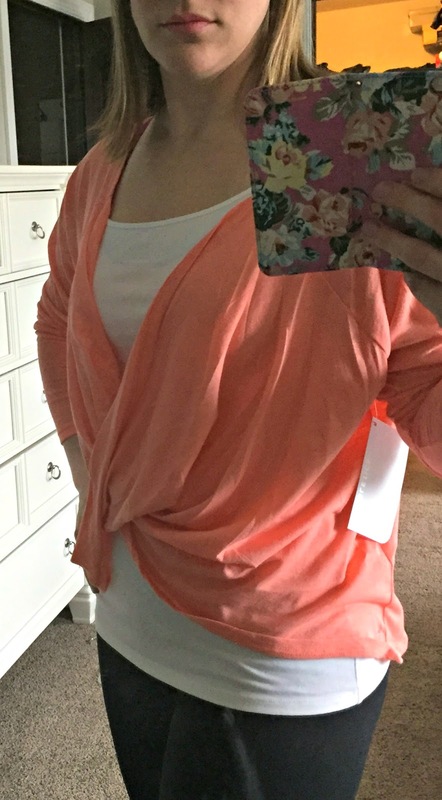 I recently received my March Stitch Fix. I thought to myself, this is the ONE! Although they are all great pieces, it left something to be desired. I'm not sure if my expectations are too high or if I need to change up my style profile. Anyways, here they are! 1. 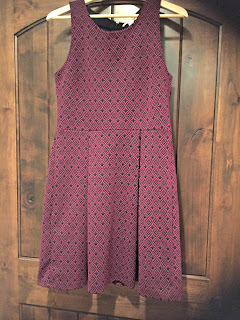 This dress was a perfect color for me, pattern and weight. Super soft knit like material. It will make a great staple in my wardrobe for casual every day or bit of a dressy event. 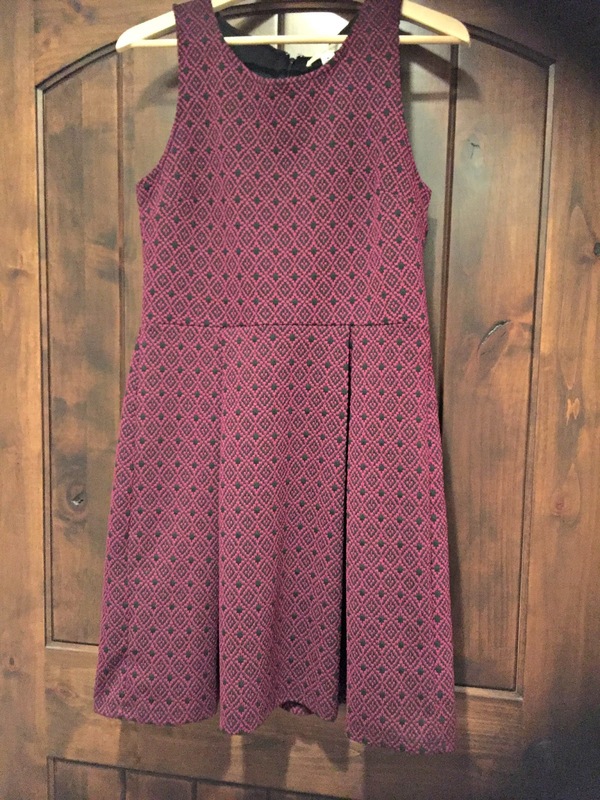 It's hard to find dresses when you are looking for them, so this is a keeper. This was an item I had pinned on my board! 2. This top was nice. It was a nice casual top in a nice bright color and a dressier fabric. I have a few tops similar to this, so it wasn't a piece that blew me away. I returned it. 3. This top was super cute. Nothing similar to what I have in my closet. The cutout detail is very cool and the fabric is light. Perfect for summer! Keeper! 4. This cardigan was unfortunately awkward...it just didn't fit normal?? Plus, I don't need anymore sweaters! I'm not a huge fan of the colors in it for spring. Just wasn't me. Returned! 5. The last item I didn't take a pic because I knew that it wasn't something I would keep. It was the Hugo Rounded Arrow Bangle. The quality just didn't seem to be equivalent to the price. Plus, I really don't need anymore jewelry either!! lol! Lastly, I want to give a shout out to Fabletics for a few of the items I've recently purchased through my VIP membership! 1. This will be my favorite summer top! Can easily go from day to evening! 2. 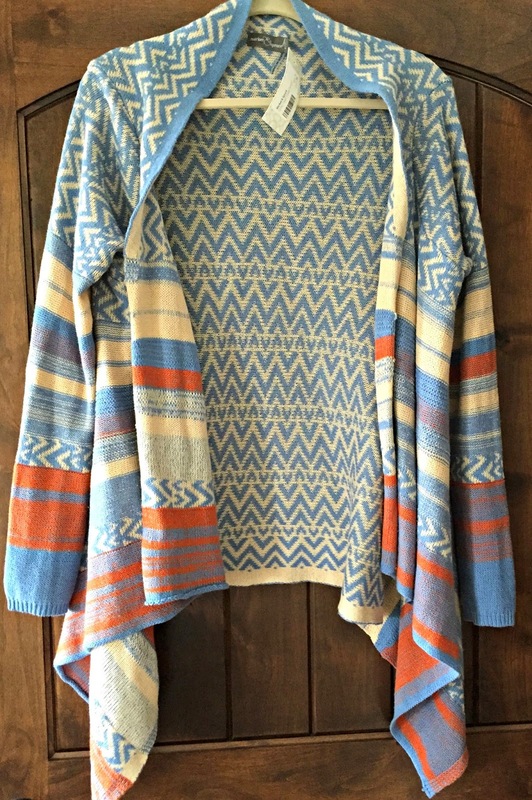 This shrug is super soft and light. Perfect for me! Can definitely see me lounging around in this daily! 3. I was skeptical about this top at first, but loved the color. It's actually pretty cute to lounge around in. You can reverse it as well and wear the cross over in the back. Seems to fall off of my shoulders that way, but I like it shown below. Are you new to Fabletics or would like to find out more? Comment below with your questions, or simply click the link above! 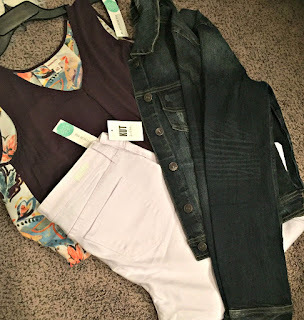 Today was my first delivery for Stitch Fix! I have been waiting patiently for my box to arrive! Have you ever heard of Stitch Fix? I recently discovered it going around on FB as a few of my friends were trying it out and one of my favorite blogs I read has had a few posts from this summer. Want to know more, check it out here! Now for those of you who know me, I love my yoga pants, leggings, or comfy skinny jeans. That was my main request that it had to be comfortable, not too dressy but still classic + a little trendy. I think my stylist did a great job. I also made my Pinterest board available for her to view. 1. Mira Skinny Pull-On Jeans. THOSE pants, LOVE them. So comfy. 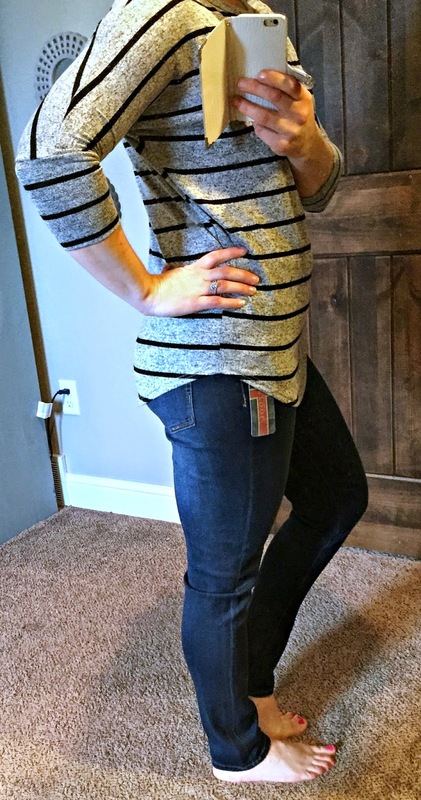 Skinny jeans that feel like yoga pants, what else could a mom want! Definitely a keeper! And no, they are not Pajama jeans! LOL! 2. Effie Distressed Detail Red Sweater. Very comfy! Possibly a bit big on me. I'm not a huge sweater person as I get too hot, but this one is very lightweight and soft. Possibly a keeper, not quite sure. 3. Corinna Striped Dolman top. Super comfy, flattering and goes with so many things in my closet! Definitely a keeper! 4. 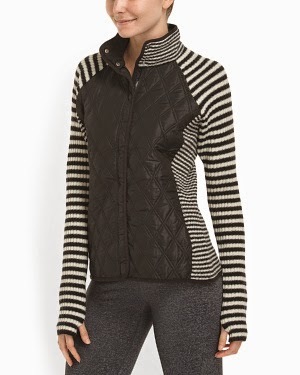 Malynn Asymmetrical Soft Moto Vest w/zipper. SUPER soft....where do they find these materials?! They are awesome! I like the shape of the vest, and it goes with a lot of things, but a bit tight under my arms. Here are some outfits I put together with things in my closet. 1. 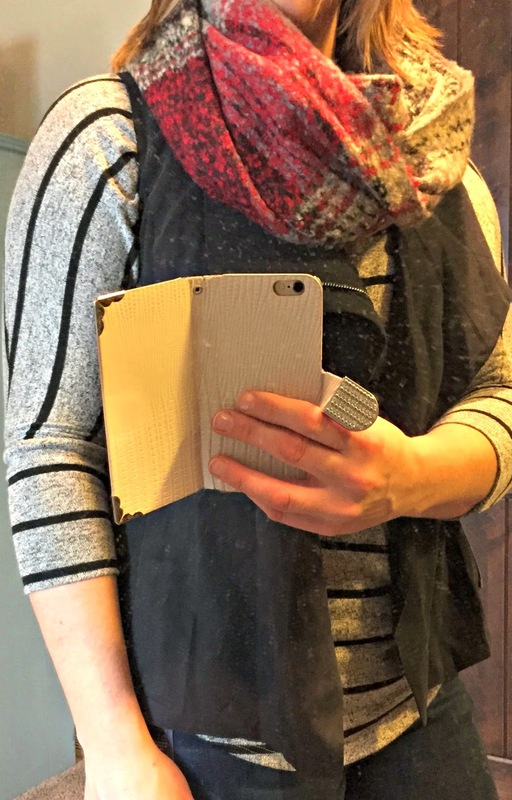 Stitch Fix Dolman top, Stitch Fix skinny jeans, Gap booties (Color no longer available), and Gap Factory vest (similar). 2. Stitch Fix Dolman top, Stitch Fix Moto vest, Old Navy skinnies, Maurices booties. 3. 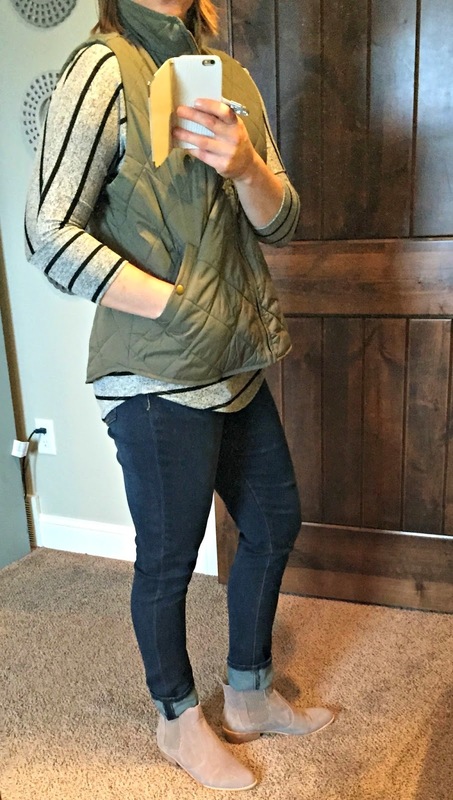 Stitch Fix skinny jeans, Stitch Fix red sweater, JCrew vest, Aldo combat boots. Overall, very happy with my first Fix. They include Style cards for each item with a casual style and dressy style. Pre-paid shipping bag is also included to send back anything you may not choose to keep. If you choose to keep all 5 items, you receive a 25% discount! Hello! I know I know, where have I been!! Well today I'm here and I have some fitness motivation for you! It motivates me anyways! 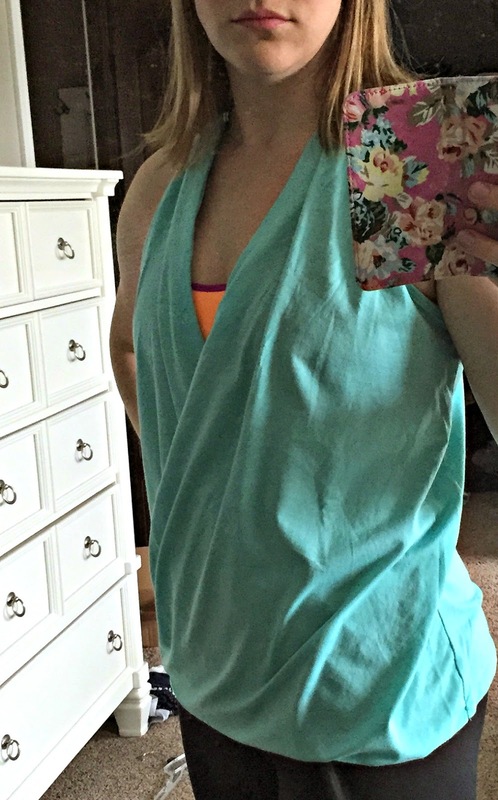 So I don't know if any of you have seen my FB posts in the past about fitness clothing, but here are a few of my favorites as well as some new finds! Fabletics is Kate Hudson's line of activewear. You simply sign up as a VIP member, you'll get access to low prices and personalized outfit picks every month. You can also pick and choose what you would like to order, or simply "Skip This Month" and it's free to join? Click the link above and check it out! Here are a few of the pieces that have been my favorites! Some brands I really love at TJs are Marika Balance Collection, Teez Her, Kyodan, Under Armour, Mondetta, 90 Degrees by Reflex. And of course you can never go wrong with the prices at TJs! I hadn't been in Maurices for quite some time. 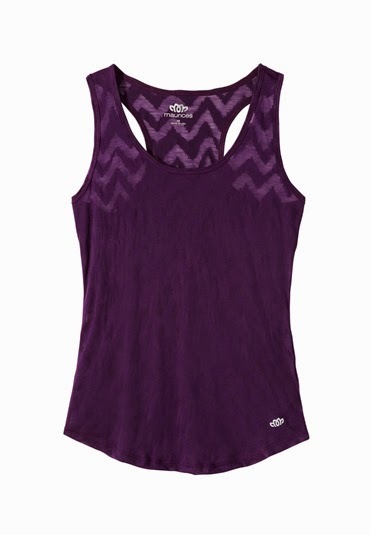 They recently came out with their Maurices In Motion activewear and athletic wear. Yes, there is a difference between active and athletic. Ask the sales associate for details if sales are going on. 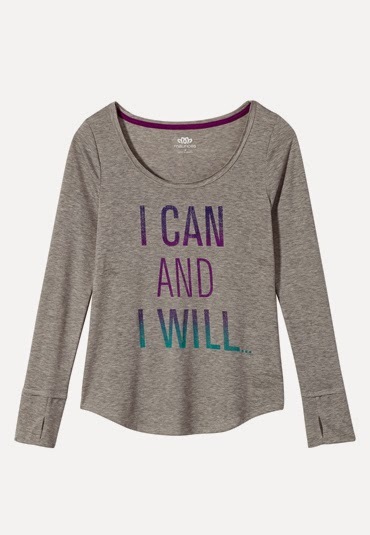 What I like about the new line is they are super soft, comfy, affordable, and cute with motivation! Here are some of my finds and other favorites. 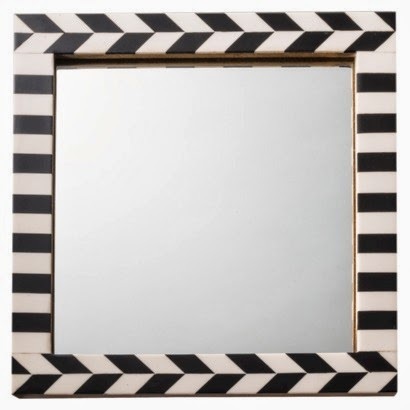 Who doesn't love a little Chevron! Motivation "I CAN and I WILL, (back) Watch me"
Hope these motivate or inspire you and others around you! Have a great day! ***These companies have no idea who I am. Everything is my opinion. Hello! Well I've been MIA for a while! wow! I've been traveling a bit lately! More on that next time! 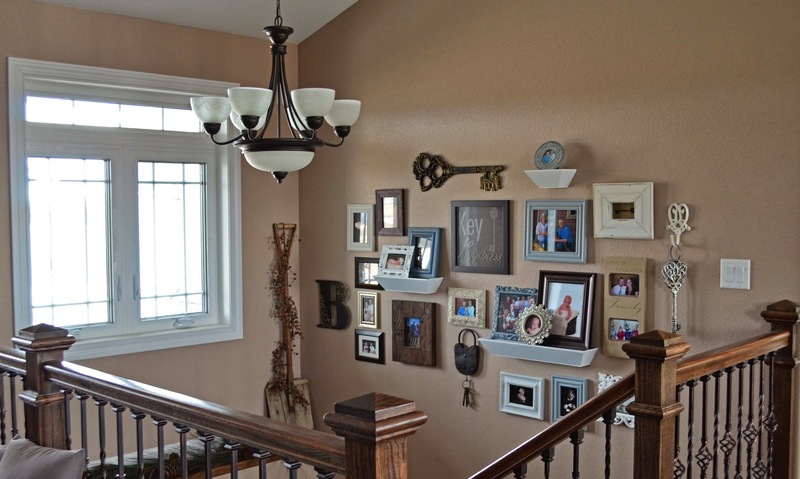 Today let's talk about gallery walls. Target, ay yi yi, (for those Bachelor fans!) I love Target! A trip to Target always has its perks, but also has its drawbacks. Coffee check, Cartwheel check, 5% discount check, and just store awesomeness. Then there is the wallet...money spent. So of course my trip to Target turned into a project. 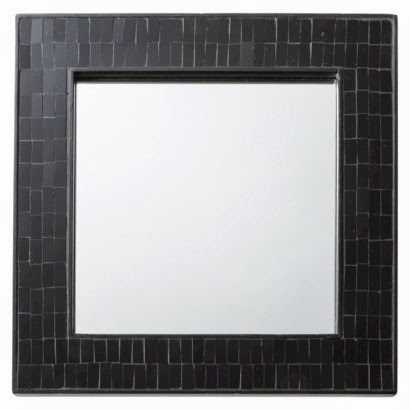 All home decor was on sale and I fell in love with these mirrors. I purchased these for about $8 a piece after sale and discount. Pretty great deal! 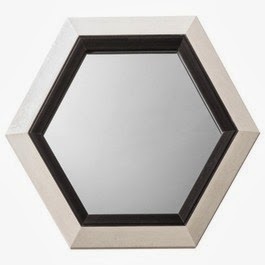 I already knew where I would hang these mirrors when I bought them. 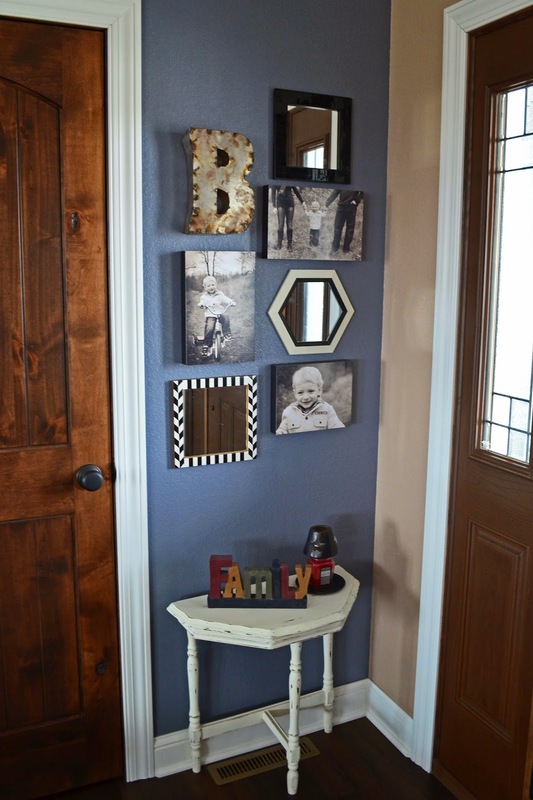 I have a small gallery wall in our front entry of family pics, but I needed to add something to it. My apologies for the horrible iPad picture, but I hadn't prepared to write a post on this. It was the only before picture I had. And for some reason I didn't think of taking pictures before I started moving things and pounding holes! geeze woman...I know I know, plan! 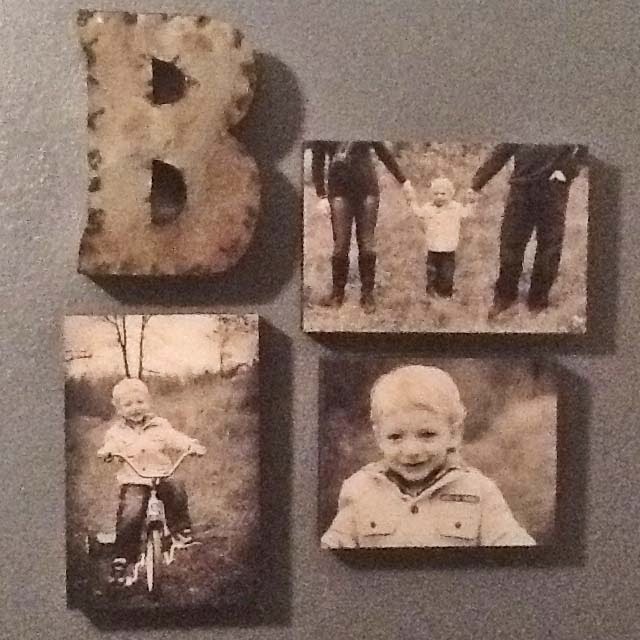 I was trying to stay in the black and white theme, but the letter B is a bit more rustic since its welded. I think the wall turned out well. 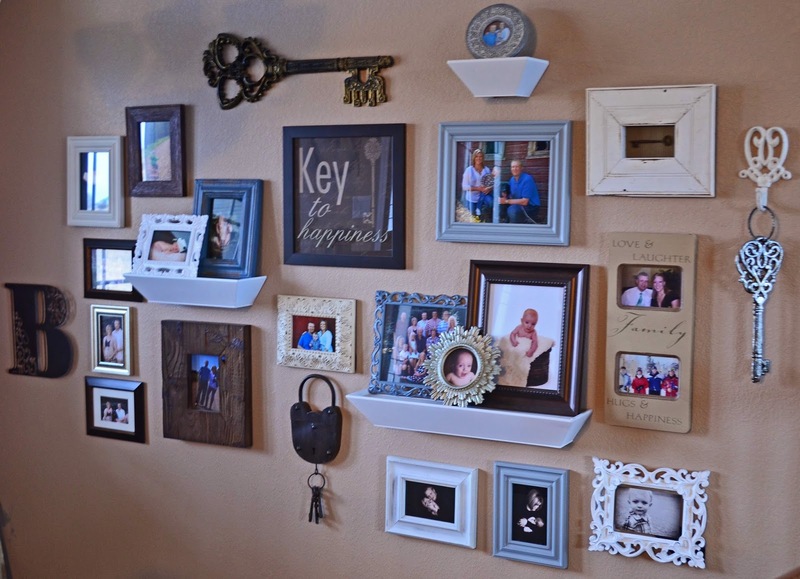 It fits the small space and adds interest. Also, gives guests something to look into when fixing a scarf, putting on a hat, or just checking to see if they have anything stuck in their teeth! haha! 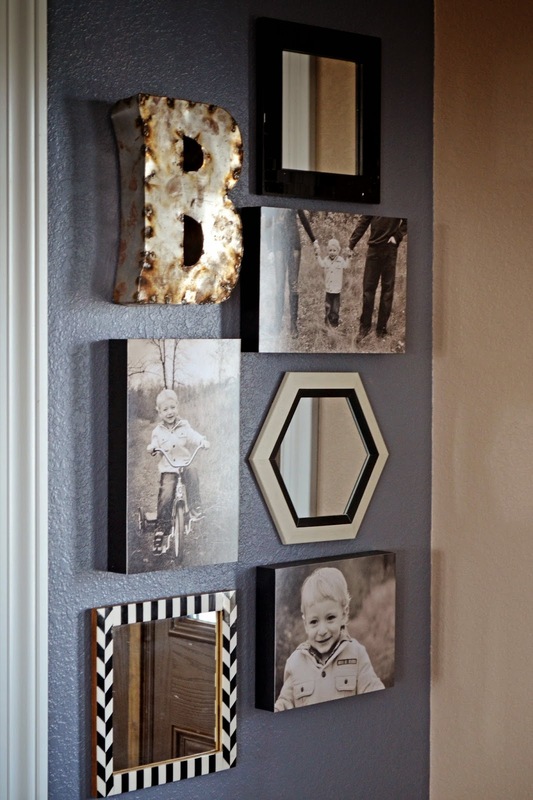 Mirrors, and B are hung with small nails. 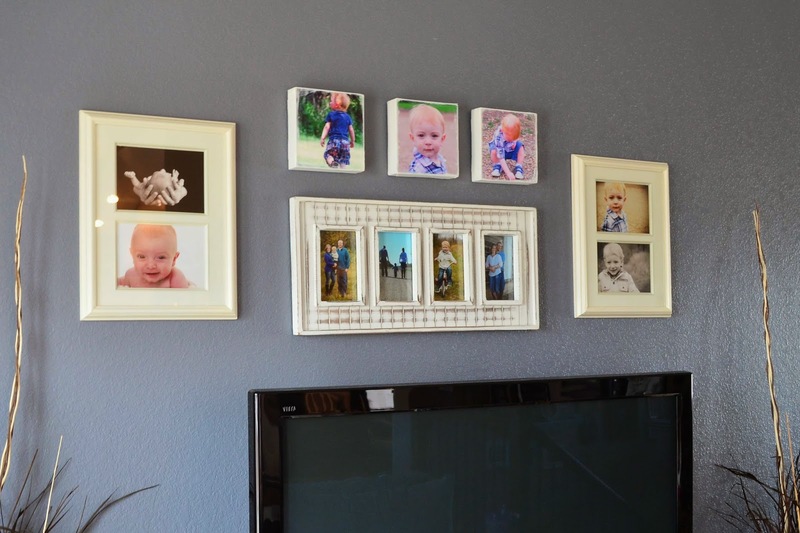 Canvases (mpix.com) (photos courtesy of Erin Romans Photography) are hung with Command Velcro strips. Here are some other gallery walls I have in our home. Hi, I'm Justine! I'm a 32 year old stay-at-home mom of one busy little boy! My son is 6 years old! I am also a wife to an amazing husband of 8 years! 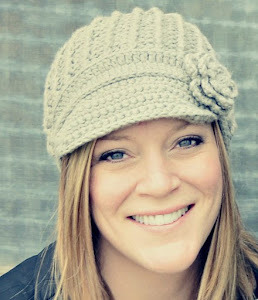 This blog is my outlet where I love to share a variety of things that I enjoy. Hopefully, something will inspire you in some way as well! I hope you will follow along and stay a while! Copyright 2014. Simply Just Bricks. Theme images by merrymoonmary. Powered by Blogger.